Old temples in one of the former capital cities of Thailand. The most famous and influential king who reign from this city was king Ramkhamhaeng (reign from 1275-1317). He developed the first Thai script (Siamese alphabet). In the park is a giant sculpture of him with a book. There is the new Sukhothai city and the old Sukhothai city. Both are a few kilometres away from each other. The old city is now a historical park with beautiful Buda sculptures, stupa’s and temples. The grass fields, water canals, flowers and plants in the park are beautiful and well maintained. Two kilometres outside the park is the giant Buda of Wat Si Chum. 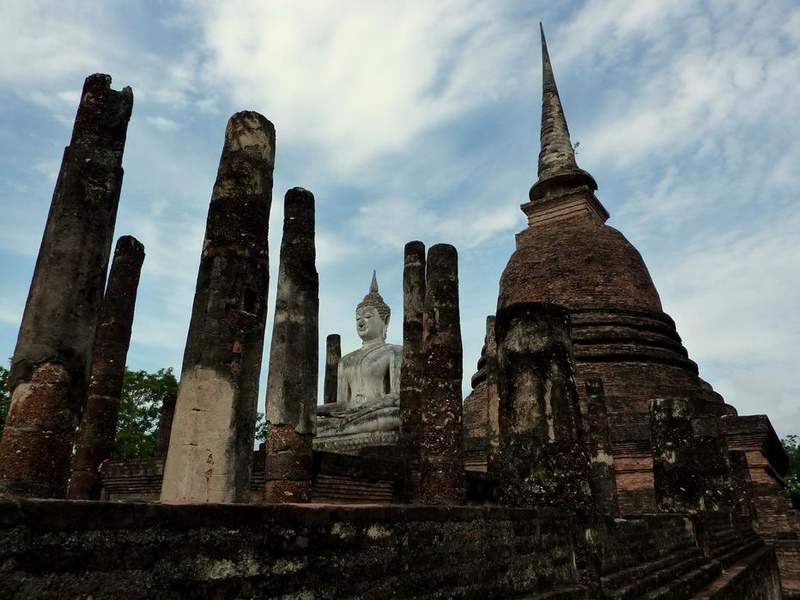 The old city of Sukhothai is part of the UNESCO World Heritage site Historic Town of Sukhothai and Associated Historic Towns. 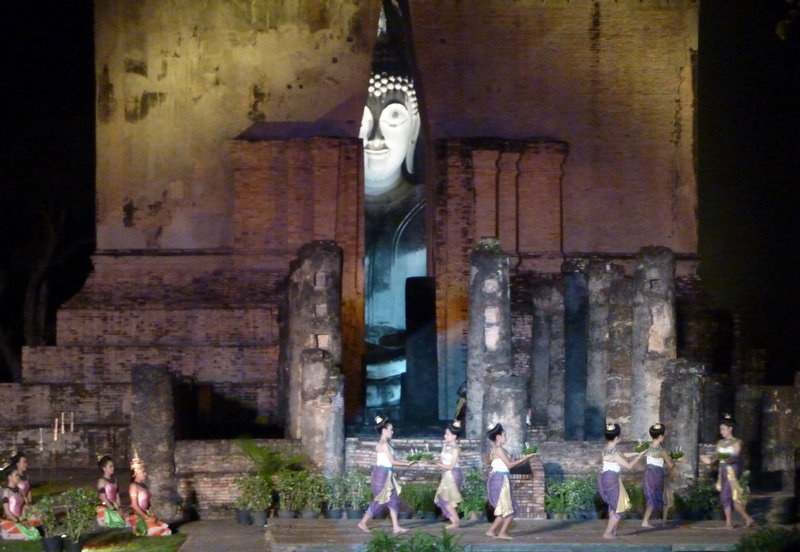 The associated towns are Si Satchanalai Historical Park and Kamphaeng Phet Historical Park. Detailed travel information on WikiTravel.